Since getting her Ph.D. in Toxicology in 2015, Megan Cartwright Chaudhuri has worked as a freelance medical writer and editor. 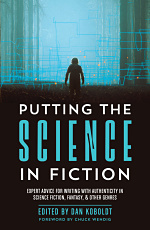 Her science non-fiction has appeared in Slate and Visionlearning, while her science fiction has appeared in Analog, Crossed Genres, and the forthcoming Futuristica Volume 1. Megan lives near Seattle with one husband and two cats. Vat-grown flesh—whether to eat as meat or transplant as organs—has always been one of my favorite sci-fi tropes. What’s not to love about eating a delicious steak without the slaughterhouse, and replacing your cholesterol-clogged heart after you’ve eaten too many steaks? But when I became a scientist and started growing cells in Petri dishes, I became skeptical about how easily so many characters picked up new hearts, hands, and nervous systems. It wasn’t just the ease that bothered me, but the missed chances to tell an even better story full of the awesome, gross, and fun things possible with vat-grown organs! 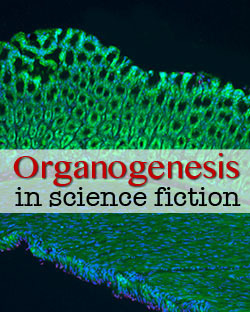 I’ll dig into the misconceptions behind some common sci-fi tropes about organogenesis—the complex process by which cells grow into organs. 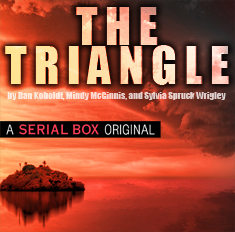 Then, I’ll offer some tips on how to make your story’s vat-grown flesh more believable. Trope #1: Organs grow in vats. I know: I keep saying “vat-grown flesh.” That makes it sound like you just need a bucket of chicken broth and some stem cells (Worst. Soup. Ever). To grow something as big and complex as an organ out of billions of different, specialized cells, your characters will need at least six things: cells; a cell scaffold; nutrient broth; stimuli; the right place; and money. Cells. Your story’s organs will probably start as a small number of unique cells, like stem or pluripotent cells, that can divide and specialize into various types. Whether embryonic (from a fetus) or induced pluripotent (from an adult), stem cells might need some genetic tweaks to make them compatible with the recipient. Another cell source could be the recipient’s progenitor cells from the bone marrow. Scaffold. Now that you have your cells, you’ll need to grow them on something! For something large and complicated like an organ, you’ll need either a temporary scaffold to brace the cells until they can support themselves, or a permanent ‘skeleton’. This ‘skeleton’ could be a frame made out of something natural, like cartilage, or a synthetic polymer. For temporary scaffolds, cells could also grow on soft, gelatin-like substances such as hydrogels. Nutrient broth (medium). Your growing organ will need to be immersed in a liquid that transmits oxygen and nutrients, carries away carbon dioxide and waste products, and keeps the cells’ environment at the right pH. But unless there are blood vessels (or something similar) to circulate medium throughout the growing organ, it won’t be able to grow much bigger than a few millimeters. Stimuli. A growing organ is constantly sending and receiving signals—both biochemical and mechanical—that direct and shape its growth. Your organ will need the right mix of signals (particularly a group called ‘growth factors’) and mechanical cues to avoid becoming a blob of disorganized tissue. For internal organs, these cues might involve pressure that simulates crowding against nearby organs; for others, like muscle, these cues could involve being stretched and relaxed. Currently, scientists simulate these cues by growing cells in ‘light-sensitive’ hydrogels—scaffolds that stiffen and stretch cells when exposed to light, then relax when the light is gone. The right location. Bacteria, fungi, and viruses would all love to grow in the medium (or in the cells)! To stop these buggers from contaminating cultures, scientists work in sterile conditions, such as in a dedicated room with positive air pressure which blows away bacteria that try to get inside. And they only open the cultures when the dishes are inside a tissue culture hood. Money. The equipment, personnel, and chemicals for growing and implanting these organs will cost some serious cash. To give you an idea, mass-produced skin grafts for diabetic foot ulcers are estimated to cost from $1,400 per small ulcer to $11,800 for a big one. And that’s for a ‘simple’, mass-produced tissue like skin! Trope #2: Replacement organs work great! Immune rejection. If that organ grew out of cells from a donor, it could get rejected and attacked by the recipient’s immune system—just like transplants nowadays. Alternatively, the immune system could attack and break down the organ’s synthetic scaffold. Cancer. Unfortunately for your character, that new organ could be a source of cancer. If the organ’s cells had some genetic tweaks, then they might carry some unintended mutations caused by the techniques used to edit the genome. Those mutations could lead to cancer. And if your character received an organ that still harbored some immature embryonic stem cells, those stem cells might grow into a tumor called a teratoma. Poor function. I’ll say it again: organs are complex, with billions of different cells specialized into various forms and structures. That shiny new organ might lack some important structures; for example, current “mini-guts” grown in the lab lack to the tentacle-like villous structures critical for absorbing food nutrients and drugs. Compared to the natural organ, a lab-grown organ may only be able to do a few simple tasks. This means your character might still need occasional dialysis to complement her new kidneys, or take highly-concentrated supplements that can diffuse across his villous-free replacement gut. How big and complex is the organ—is it just a few outer layers of skin, or a massive, complicated beast like the liver? Where are its cells coming from? What are the cells being grown on—a temporary scaffold made out of some soft hydrogel, or a permanent ‘skeleton’ made out of something like cartilage? How well does the organ function? Does the character need to do or take anything (immune suppressants, extra nutrients, etc.) to keep the organ going, and to keep herself alive? Cool! How long does the process take?